In mainstream education there is a well known alternative to traditional lesson plan templates called the 5 Minute Lesson Plan. It’s designed to cut down on the paperwork and bureaucracy of lesson planning and has spawned a whole series of variations. 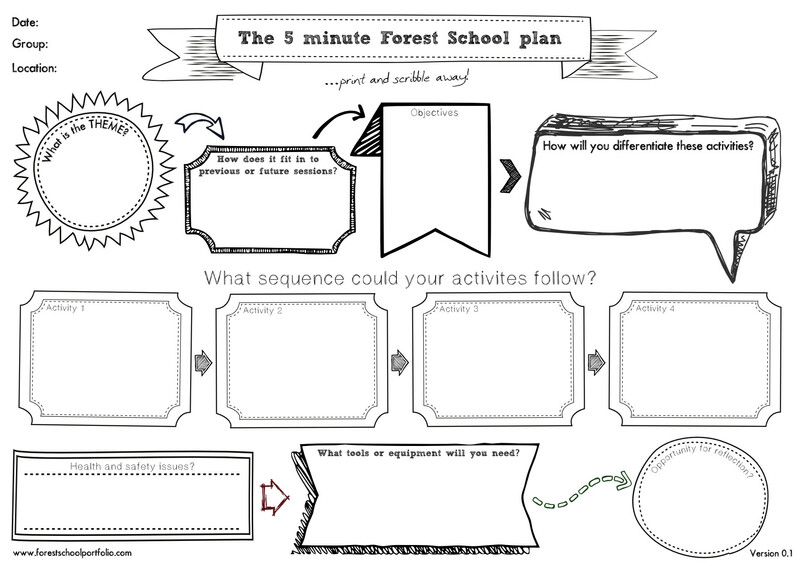 I’ve created a variation for use when planning forest school sessions. Click on the image for a full size JPG file or download the PDF below.